Celebrating the essence of true Parisian chic, Isabel Marant's Étoile line combines laid-back tailoring and bohemian-inspired prints. Launched in the year 2000, the label is a masterful blend of edgy, urban attitude and ethereal, feminine spirit. 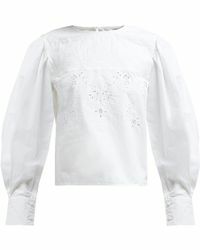 Étoile Isabel Marant tops are sophisticated and contemporary. 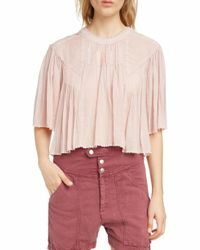 Relaxed batwing styles, classic plaid shirts, and delicate, embroidered blouses are some of the many highlights. 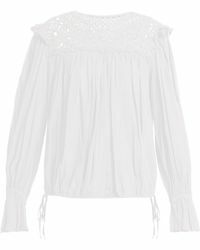 Isabel Marant also available.